Owned and managed by Book Designer, Editor, Publicist and Indie Author, Eeva Lancaster, we are a small team of creatives who love books. 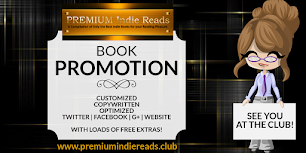 Our aim is to raise the standards of Indie books, by helping authors publish like a PRO, The Affordable Way. Just like Goldilock's chair, the cost of our services are just right for your budget. Not low quality cheap, and not backbreaking expensive. We do this mainly to help Indie Authors succeed - and only here at The Book Khaleesi. When you're done with your manuscript, come visit. Everything you need to publish a high quality book readers will love, can be found here. Boost the possibility of sales by getting a stunning Book Cover. Have your book professionally formatted for an enhanced reader experience. Improve your marketing and drive more attention to your books with classy advertising banners. Up the ante with Book Trailers which can convey your story better than still images. Rev up your author platform and Amazon sales pages with our publishing assistance service. Own an easy to edit website where you can talk about your books and convince readers to buy them. If you don't have time for all this, hire us to manage your books so you can be sure that everything you need to do to reach your readers and sell your books are being done. You can go back to doing what you love best.